Directed by Rick Goldsmith. USA. 2015. 56 min. From the rough-edged courts of New York City and recruited by coach Pat Summitt for the University of Tennessee’s Lady Vols, Chamique Holdsclaw was hailed as the “female Michael Jordan,” impressing crowds with her artistry, athleticism and drive. A three-time NCAA champ and number-one draft pick in the WNBA, Holdsclaw seemed destined for a spectacular professional career—until her long-suppressed battle with mental disorders emerged to derail her career and threaten her life. 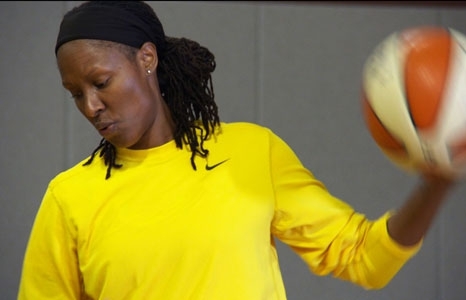 Mind/Game intimately chronicles Holdsclaw’s athletic accomplishments and personal setbacks, and her decision, despite public stigma, to become an outspoken mental health advocate. Still, she would face dramatic, unexpected challenges to her own recovery. Narrated by Glenn Close, this eye-opening documentary tells a powerful story of courage, struggle, and redemption.